Rocket Power Pro is powered by the world’s most advanced charging technology. Quick Charge 3.0 allows two compatible devices to charge 75% faster, providing up to 8 hours’ use from just 15 minutes of charging! Stainless Steel Spring Buckle lasts for 500+ plugging lifespan. 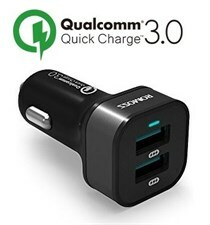 QUALCOMM QUICK CHARGE 3.0: Charges devices up to 80% in just 35 minutes, 4 times faster than conventional car chargers. Backward compatible with QC 1.0 and 2.0 Technology. DUAL USB OUTPUTS: 36W dual USB outputs ensure the fastest charging speed for 2 smartphones, tablets, or QC compatible devices simultaneously, also charges non-Quick Charge devices at their normal speed. A Whole-New Car Charging Exprience Perfectly charge mobile phones, smartphones, tablets etc Super mini then ever Intelligent multi-protection, excellent safety Dual Output : 2.1A and 1A. Perfectly Charge All mobile phones very fast. 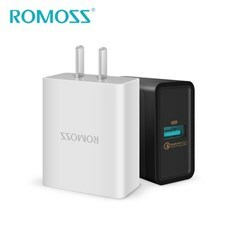 The Romoss Solo3 6000mAh Power Bank will give you the freedom to charge your devices wherever you are, which is what you need when you’re constantly on the go. The Solo3 Offers a stable, secure and long-lasting power supply, With built-in Fitcharge Technology. Perfectly compatible with a variety of smartphones, tablets, MP3s, MP4s and other mobile devices. 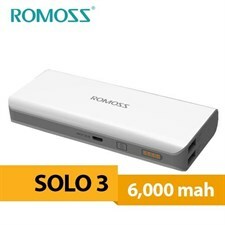 You will never have to worry about going on empty battery again as you can now charge your mobile phone, tablet and other compatible gadgets even without a power outlet around with this ultra slim Romoss Polymos 5 Polymer 5000mAh Powerbank. 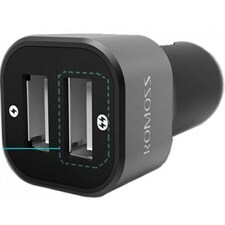 Super-smart Polymos 5 applies Fit Charge technology - charge almost all your smart phone devices. 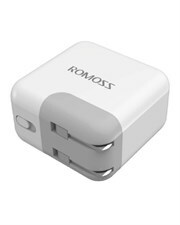 The Romoss Polymos 5 Dual Output Power Bank provides you with a compact charging solution for your smart phone, tablets and other gadgets. With this nifty device, you can stay entertained watching movies or listening to music all day long without worrying about running out of juice when you are on the go. Today's fast-paced world requires that you stay connected and on top of your game every time. 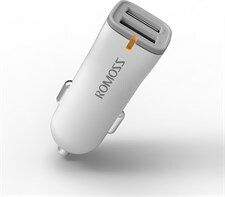 Make sure that your phone continues to work and play with you with the help of the Romoss Polymos 5 Power Bank. Support anti-fake code checking by scanning the QR-Code. tablet for that matter. You cannot compromise on your device’s life and it’s functioning. 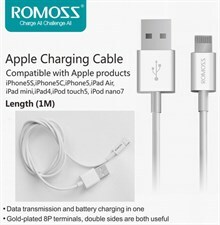 Romoss chargers, data cables etc work efficiently with almost every other cellphone or brand, but it is especially designed for your iPhones and iPads to charge them instantly with ultimate power. It is inspired by technology and special tools that guarantee the brilliance in working. Romoss creates products that are accurately great, they are practical, elegantly designed, convenient and add practicability and choice for people living in modern, digital lives. 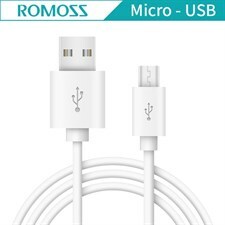 You can purchase your favorite romoss product at Micro Xpert Computer Systems official website at mxonline.com.pk and we will be happy to be at your service.